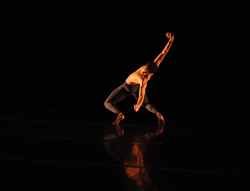 Fadi Khoury's FJK Dance at New York Live Arts. Two tickets for the Friday, September 15 performance at 7:30 pm. In the company's fourth annual season, FJK Dance returns to New York Live Arts with two premiere performances showcasing a contemporary fusion of culture and dance. New works presented include, MUNDO, that will bring Latin American dance together with Middle Eastern tradition. The Friday night performance will also include the FJK's repertory works: ECHOES (2015) and REFLECTIONS (2016).